Beautiful & delicious fresh fruit week after week. Starting from only $32.50. Flexible product mixes. Free fruit delivery to metro areas. Consistent quality you can trust. Fruit boxes delivered to Adelaide, Brisbane, Canberra, Hobart, Sydney, Melbourne, Perth and numerous regional areas. All our fruit deliveries are made using re-cyclable cardboard boxes. Our cardboard boxes are biodegradable and made here in Australia. Fruit is sourced locally whenever possible. Our main production facility is accredited by HACCP and SQF2000 Safe Food Handling Certification Programmes. 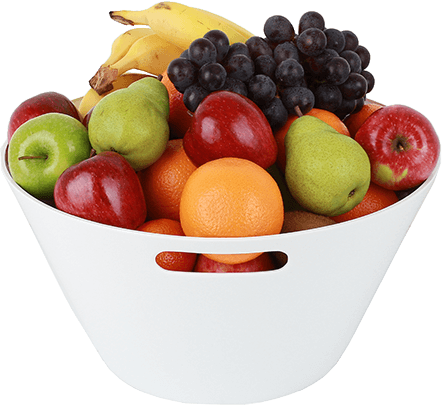 No other office fruit basket delivery service has both and many use their drivers to pack fruit. A good starting point is to plan on 2 pieces of fruit per person per week. 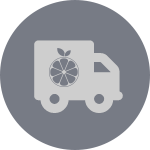 After your first delivery, we will give you a call to see how the fruit was received by your staff. If the quantity needs to be changed, we can easily adjust for the next delivery. Most of our customers decide to start with our standard mix boxes and leave the selection to our buying experts. These mixes have been designed to satisfy as many tastes as possible in your workplace. If you find you need to have a different mix, simply call us and we can adjust accordingly. We have found that Monday and Wednesday are the most popular delivery days with our clients. For volume orders and other unique requirements we can accommodate daily delivery (location dependent). We are happy to split your deliveries across multiple days. We deliver to Adelaide, Brisbane, Canberra, Hobart, Sydney, Melbourne, Perth, Wollongong, Newcastle, Gold Coast, Sunshine Coast and numerous regional centres. We invoice weekly or monthly. 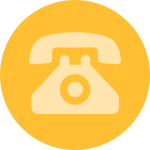 We can provide individual or consolidated invoices covering all of your locations and provide payment terms to all customers. Invoices and monthly statements are sent electronically in PDF format and can be faxed or posted on special request. 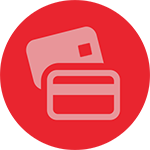 Payment can be made by direct deposit, cheque or credit card. 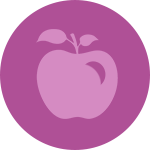 Fruit At Work delivers a cost effective, healthy snack alternative to the processed foods commonly found in office kitchens and vending machines. 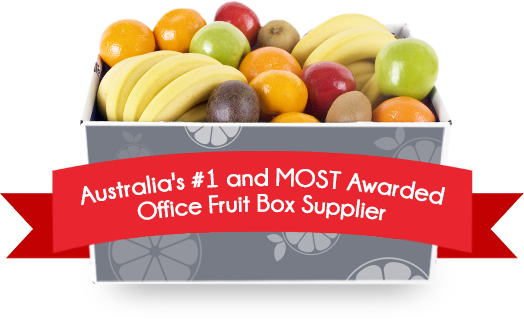 With the most awards in the industry, we are specialists in fresh fruit box delivery, helping workplaces demonstrate their commitment to employee health every week. 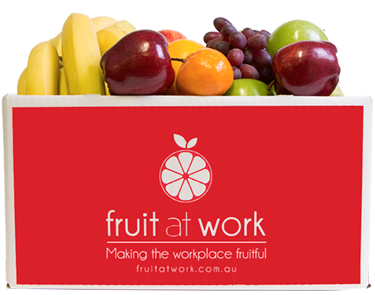 If you are looking for a fruit box delivery Australia wide, Fruit at Work is the supplier to choose! Here’s What Our Customers Think! 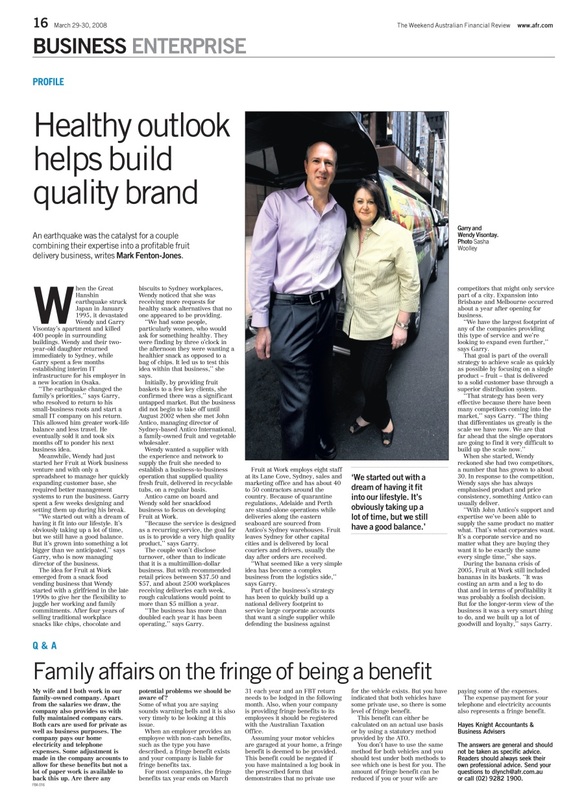 "AGL first engaged Fruit at Work in 2011, trialling its fruit in some of our locations as part of our new Health and Wellbeing program. This initiative was very successful as the quality of fruit was excellent and the feedback positive.... 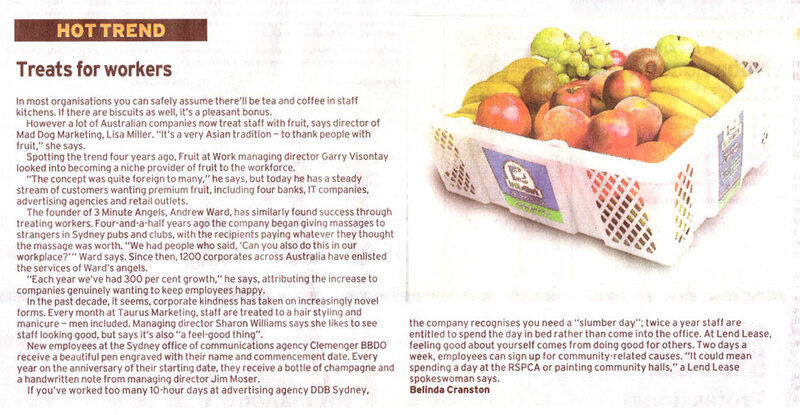 Since then, our partnership has grown with Fruit at Work delivering to multiple AGL business locations." Setting up our weekly fruit delivery with Kelly at Fresh Venture Group was so easy; she was super organised and very efficient. The fruit arrives every Monday on time and it’s always of the highest quality. There is never anything left over come Friday. We have been using Fruit at Work since December 2015. We have been so happy with their services, always delivered on time, always fresh and great value for money. Being a 24/7 business it is important to us that our team always have a selection of fresh fruit available. Fruit at Work have always delivered excelled service – from the fresh fruit and milk to the delivery drivers who carry on the service. Jo has always been very accommodating of our many changes and nothing is ever too much trouble. Thanks Jo! Our office is very, very pleased with the weekly deliveries from Fruit at Work, it certainly brightens up our Monday! Deliveries are always prompt, and the fruit is unfailingly fantastic quality, with a lot of variety. We have been purchasing Fruit at Work for the past three months and have enjoyed every fresh piece of fruit supplied. Rod has been so helpful when we have needed to change the dates of our orders due to public holidays, not once have we had any issues. Just love the flexibility and quality of Fruit at Work. Fruit at work has been fantastic for our staff. They are enjoying the variety of fruit delivered and it’s exceptional quality. The customer service has been prompt and efficient with all our queries answered in a very short timeframe, more than often on the same day. The fruit is helping our staff to make better food choices and assisting to help staff rediscover the joy of eating healthy food. I would recommend Fruit at work to any organisation.